Some suggest it was Berlioz. Others that it was Wagner. Looking further back, some point to Haydn as the first. But it was only in the 20th century that the concept of the composer as a self-standing entity – as opposed to a performer who also wrote music – became established. And, as with so much which established itself in the 20th century, it soon became such an accepted norm that it is difficult to perceive how things were before. Students regularly express surprise when they learn that Brahms was a true virtuoso pianist who made a fair living through his performances, or that Rossini trained to be a singer before he ever seriously turned to composition. Handel, Mozart, Beethoven, Mendelssohn, Liszt and Saint-Saens were all famous for their keyboard virtuosity, while Richard Strauss and Mahler were famed internationally as conductors. Yet today we almost look askance at a performer who confesses to dabbling in composing. Pianist Marc-André Hamelin is fighting a battle to try to get people to take his own music seriously, to the extent that he recently wrote an article in The Guardian attempting to forge a link between the two roles of performer and composer; “Over the many years I've been performing, it has become increasingly clear that my attempts at writing music, were significant building blocks in my development as a musical interpreter”. Hamelin - Taken seriously as a composer? Somehow, though, we rarely seem to take the music of a famous performer seriously and I am as guilty as the next person (perhaps more so) of wondering how seriously some of these performer-composers would have been taken were it not for the fact that their performing reputation has guaranteed them a relatively receptive audience. Orchestral players rarely make the move to the composer’s desk, and when they do, they invariably quickly leave the orchestra behind (Malcolm Arnold being the classic example). I am scratching my head desperately to think of a single performer who has successfully crossed the bridge from performing to composing without burning it behind him. The exception lies, as it invariably does, in the organ world where few composers for the instrument are not themselves organists. 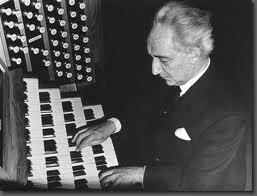 When we list the principal organ music composers of the last century – Messiaen, Flor Peeters, Herbert Howells, Naji Hakim – all were organists, often as well known sitting at the console as on it (as it were). Indeed I can only think of two significant composers for the instrument who were not themselves organists - William Mathias and Kenneth Leighton. The one thing all these organist-composers had was a distinctive voice which makes their music instantly recognisable. So it is something of an anachronism to come across a major organist whose music far from adding something new to the repertoire, positively revels in running over well-tried territory; barely disguising hackneyed ideas by wrapping them up in brittle musical language. 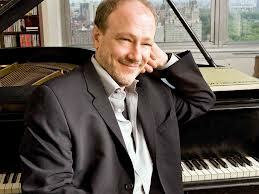 A composer who seems to be invoking the spirit of Bach but with wrong notes in it. 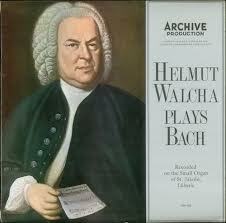 As an organist, Helmut Walcha made a speciality out of playing Bach. Indeed, his recordings (including a seminal series of LPs on the Archiv label) influenced an entire generation to see Bach anew. I remember a conversation with the late Malcolm Boyd (who went on to become distinguished Bach scholar) in which he admitted that it was listening to Walcha's recordings that had really inspired him to pursue an interest in Bach, and for my part, my single Archiv LP of Walcha playing excerpts from the Clavierubung III suddenly opened up great vistas for me. I went straight out and bought the music and still find enormous pleasure working my way through the labyrinth of paired chorale preludes wrapped up in a mighty Prelude and Fugue in E flat. But Walcha, we now learn, went even further. He did not just emancipate the chorale prelude, he attempted to resurrect it. While Flor Peeters idled away many happy hours writing chorale preludes to a series of predictable and uninspiring formulae, Walcha reverted to the Bach models, paring them down to the bare bones, removing every ounce of amiability or emotion, and writing so many that in addtion to the two packed discs that have recently been released of them, we are promised two more. Wolfgang Rubsam, who single-handedly seems intent on recording every note of organ music ever written (I once suggested in print that he was perhaps doing too much to put his heart and soul behind every recording he made; he wrote an anguished letter back saying that I had almost made him contemplate suicide) can, possibly, be excused for his adoration of Walcha; he was a former pupil. But his dry playing and the grotesque sounds of over-bearing harmonics and ill-matched stops from this American organ, only undermine the sterility of Walcha's writing. In short, these are utterly charmless discs which serve no purpose other than to get more on-disc exposure of Rubsam and to undermine the posthumous reputation of a man who was, as a player, one of my personal gods. I have often wished that Naxos would exert a little more restraint over its output of organ discs – few of them come close to the standards set by such specialist companies as Regent or Priory, while even more general labels, such as Hyperion and Guild, wipe the floor with their organ discs. These, surely, are discs released for the sake of releasing discs. It is indeed the exception that performers become respected composers without leaving their playing days behind. One potential exception - if you are not already aware of him - is Huw Watkins, though it could be said he has developed both elements of his career simultaneously rather than taking up composition later in life. Another suggestion for consideration would be Heinz Holliger who also takes his conducting very seriously.